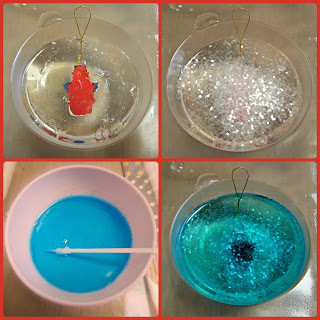 This is a great project for soap making beginners, and would even be a fun craft to do with older kids: snow globe inspired soap! I scented my soap with a cinnamon roll fragrance. 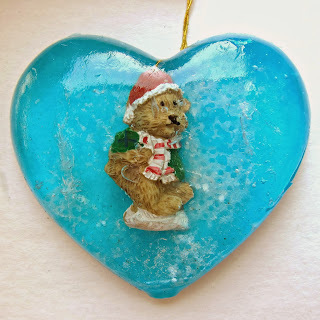 Read on to learn how to make this fun project. Step one: Place blocks of the glycerin in a microwave safe container, and heat at 30 second intervals. Once the glycerin has melted, add the fragrance and mix. Step two: Pour the clear liquid into the mold, filling it about half way. 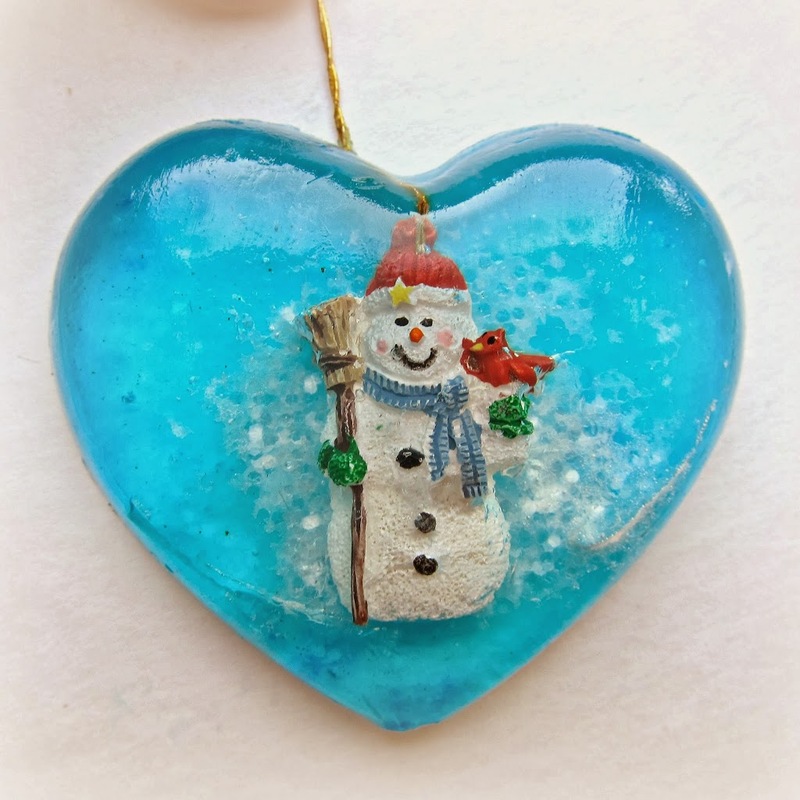 Add the ornament to the liquid glycerin, making sure that the string is sticking out the top of the mold. Set this aside to cool for 10-15 minutes. Step three: Sprinkle glitter on top of the hardened glycerin. Step four: Melt more soap base cubes in the microwave. Add blue dye to the liquid. Add and mix just one drop at a time until you reach the desired color. 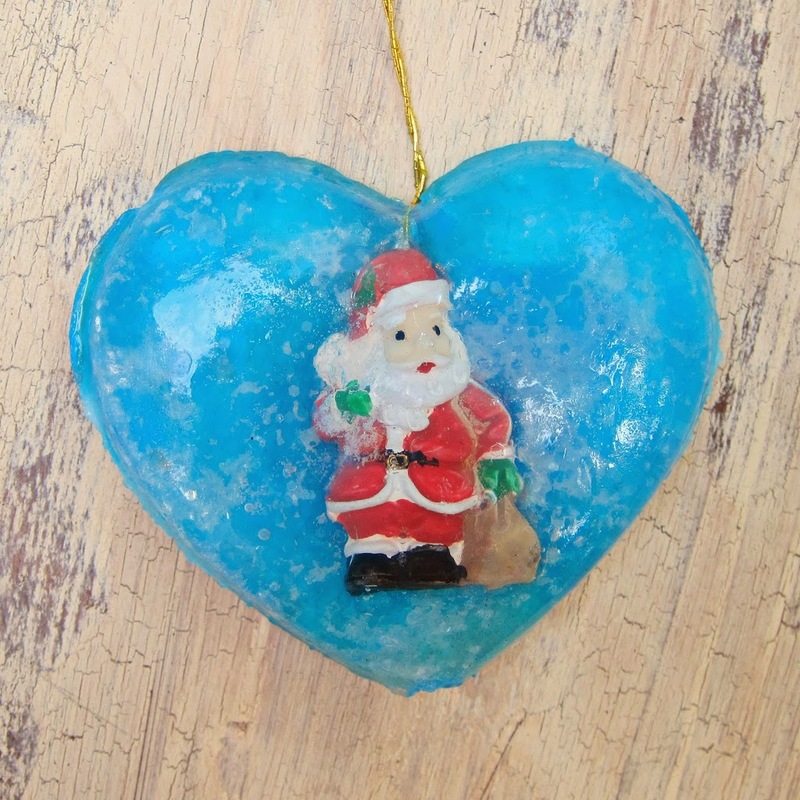 Step five: Pour the blue glycerin into the mold, on top of the glitter. Let it cool at least 40-60 minutes. Once the soap is completely cool, you can remove it from the mold. If you have trouble removing the soap, place the mold in the freezer for about 15 minutes. 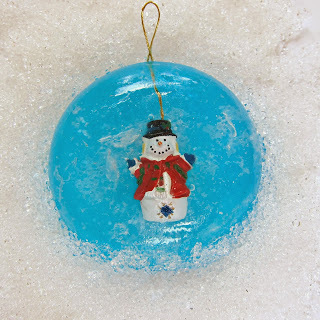 Now you can wrap the soap snow globe ornament soap gifts in plastic wrap. They smell wonderful! 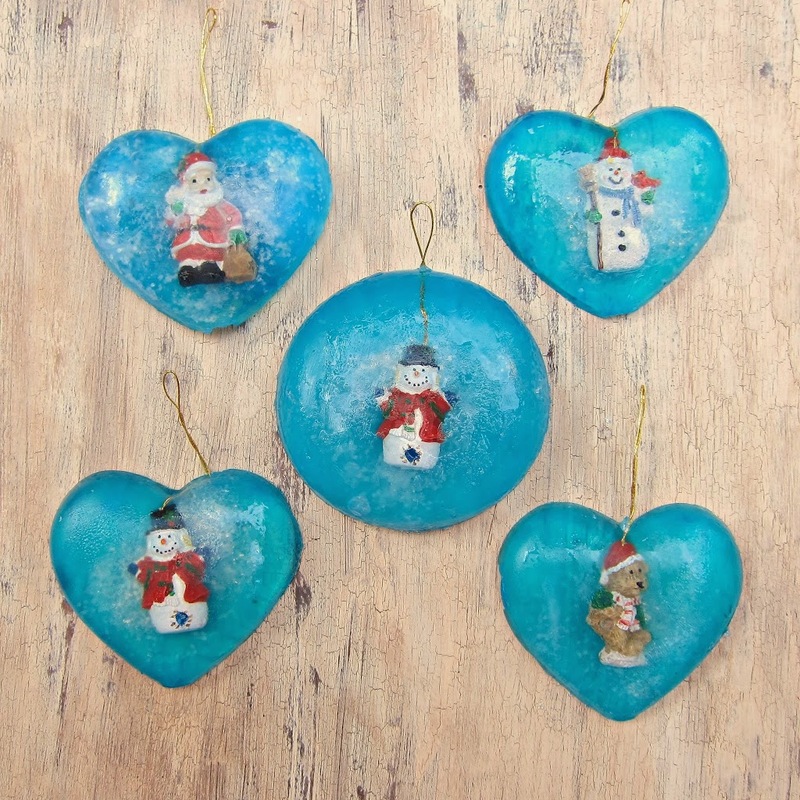 These would make a fun addition to a tree, or they’d also look cute on a present. I used mine as gift tags in Christmas gifts. My kids can’t wait to wash their hands now, so I bet others would enjoy receiving these fun soaps, too! These are so cute!! I’m going to make these with my nine year old daughter, and put Christmas animal minis in them!! You’ll have so much fun making them together!